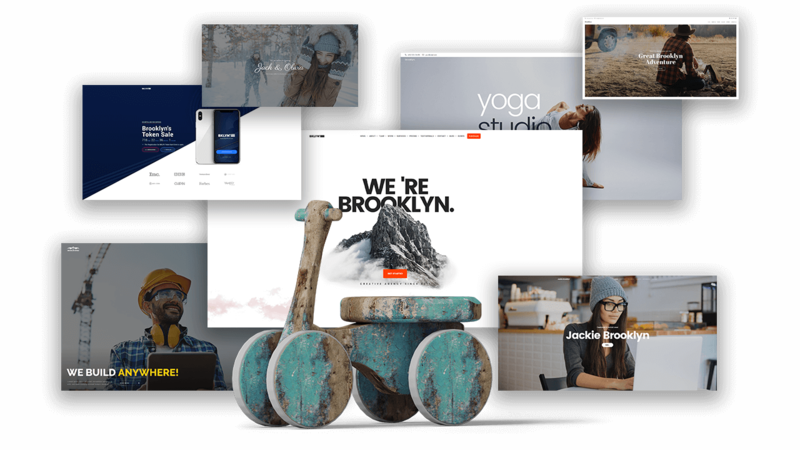 More than 48,000 users trusted us to create over 100,000+ websites. set up your website in minutes! 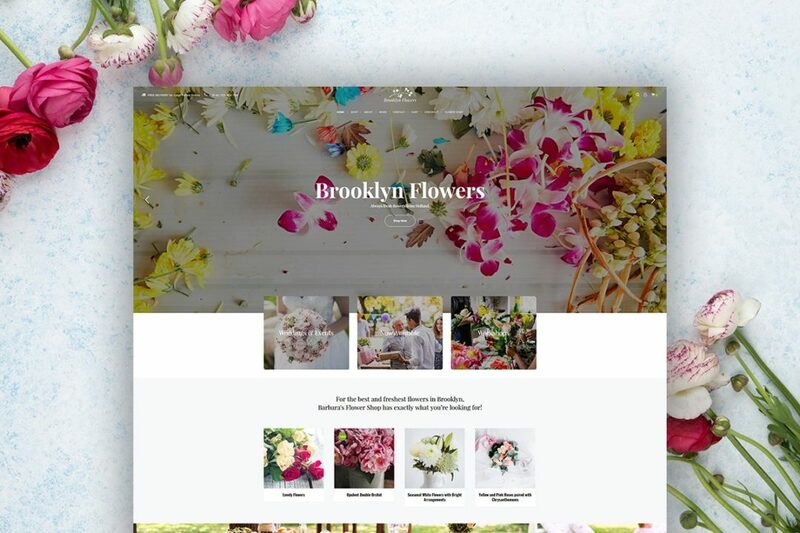 With Brooklyn you don’t have to bother any longer or despair if something doesn’t work out, because we offer the homepage of your choice at the push of a button. Simply select your favorite website and get started. And for the professionals among you, the Drag & Drop Page Builder offers endless design possibilities. everything you need to create new websites! Brooklyn has the most powerful Theme Option Panel on the market. We have the right settings for even the smallest detail of your homepage. Thus your unique Internet appearance is always guaranteed. we have delivered over 100 free updates for Brooklyn till today! We are constantly evolving and improving Brooklyn for you. Not only because we enjoy it so much, but above all because we want you to be satisfied and happy with us and our product forever. Because only then will we know that we have done our job well! As founders of the first Website Installer on the Market we guarentee that no coding is required. Install a full website with a single click, exchange images and content and you are ready to go. with nothing other than Brooklyn and WordPress. module variations and unlimited colors. specialty tea, and software – online. Some of frequently asked questions about Brooklyn. 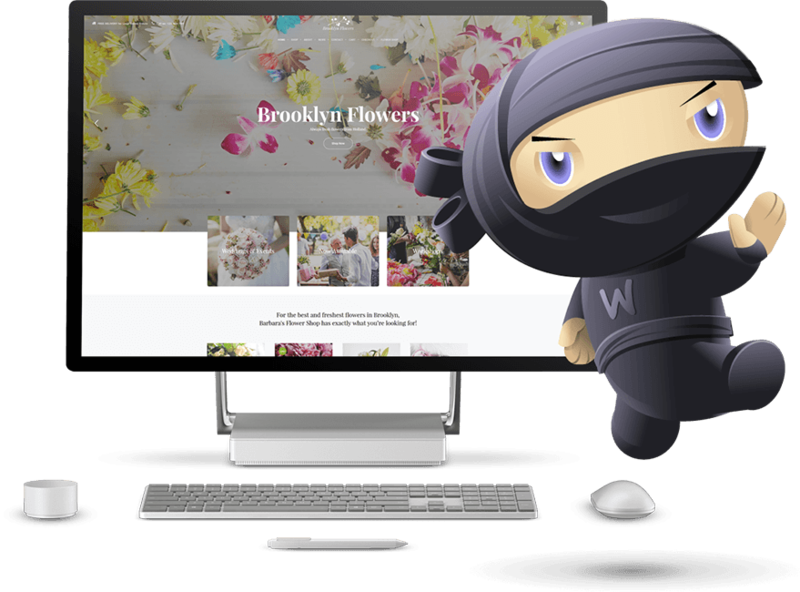 Is Brooklyn theme installation easy? Yes, we are the founder of true one-click installation feature, therefore installation is very easy. You can see our video installation tutorial here. Can I change demo page layouts like delete sections or add new ones? Yes, you can easily rearrange the layout, add or remove elements with the click of a mouse. Do you support the theme? Yes, of course! We have a customer forum where you will find a question and an answer to everything. We also have a huge community that likes to exchange ideas with each other. We also offer customer support in German and English. How long will I get theme updates? After your purchase of Brooklyn you will get lifetime updates. Since release we published over 100 updates and added countless new features with over 40 new demo websites. Are all demo websites included in my purchase? Yes, and much more. Not only the demo websites you see here, but also all demo websites we will publish in the future. As well as all future layouts, elements, improvements, website templates and much more. Are all upcoming updates free of charge? 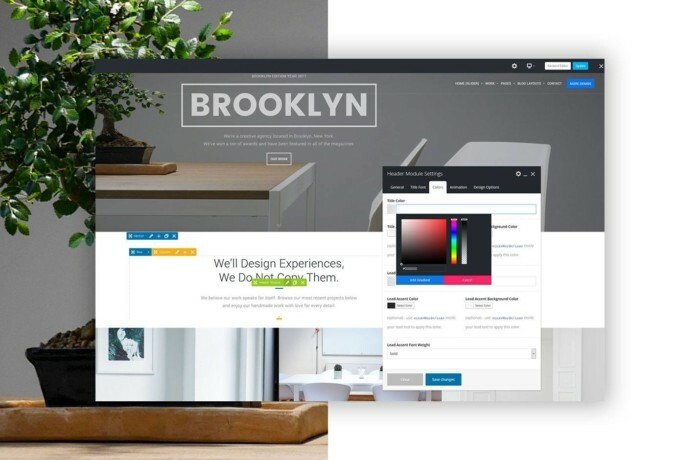 Yes, all improvements for Brooklyn are and will remain free of charge including new demo websites. Is Slider Revolution integrated and will I be able to use it for free? Yes, the Revolution Slider is included free of charge in the standard version! Can I remove the copyright of the theme? Yes, you can remove the copyright. The theme has a build in option for this. But we are of course happy if you keep the copyright note. Thus, you support us and our work.